Submit your best photos of your pet on vacation and you could win a great trip for you and your pet! 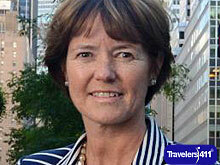 Travelers talk back about pet friendly properties in the US. Its always fun to bring your pet to the store with you and even more fun when its a People store. No one wants to leave their pet behind, but sometimes you have to. Share your opinions about kennels and day-care services nationwide in this forum. Trains, Planes and Automobiles -- Plus Taxis, Buses, and more! Newest Post: Need to Get Fido to Florida? Try Pet Airways! Enjoy 10% off base rates on rentals of 28 consecutive days or more, plus receive a free single upgrade at participating locations in the U.S., Canada, U.S., Canada, U.S. Virgin Islands and Puerto Rico. President, CEO, Founder, Derry City Tours, Derry City, Northern Ireland, UK. Martin McCrossan founded Derry City Tours in Derry-Londonderry, Northern Ireland in 1994 and developed it into a quality tourism company earning a 5-Star rating from the Northern Ireland Tourism Board.